The Indiana Association for Floodplain and Stormwater Management was founded in 1996 by professionals interested in and responsible for floodplain and stormwater management in the State of Indiana. INAFSM members include federal, state, and local agency staff, engineers, consultants, planners, elected officials, members of academia, students, and floodplain residents. We offer continuing education through various events including our annual conference and other events such as high water mark training. Click here to learn about continuing education credits that can be earned at INAFSM events. Indiana FEH Manual is now available! 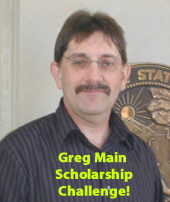 Apply for the Greg Main College Scholarship! House Bill 1096 - Fact Sheet! Siavash Beik Receives ASFPM Lifetime Achievement Award! Do you have an educational article you would like to submit for publication in an upcoming INAFSM newsletter? Deadline is approaching!